Still haven't seen Social Network, but when it comes to internetz on the big screen, it fails miserably. What could be so exciting about people intensely hammering away at keyboard? The answer is obvious: it can only work in anime. And Mamoru Hosoda's Summer Wars answers with bright colors and cutesy style. In it, "Oz"- the network that is so vast and integral in our daily lives, when it gets hacked, the world is thrown into pandemonium. It's the Jinouchi Clan to save the world with the help of an emo programmer Kenji. 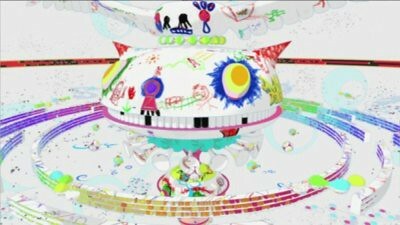 The digital animation of Oz and the avatars that inhabit the virtual world look very much like pop art sensation Takashi Murakami's work. Ah, circle of life, since Murakami's work totally rips off of anime. Also ironic is game of Hanafuda (Japanese card game) saving the day, since the game is socially and culturally looked down upon as crass, low brow entertainment. 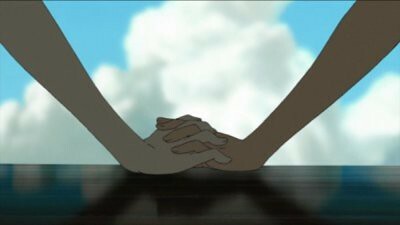 But behind the happy super fun exterior, Summer Wars actually has a story and a lesson in this internet age however slight it is. And I like that.